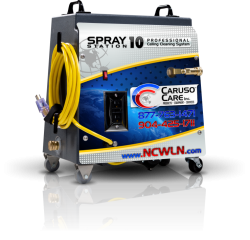 Businesses, retailers, manufacturers, restaurant owners and industrial facilities needing acoustical ceiling restoration, can trust Caruso Care, Inc.’s superior cleaning products and solutions. Our ceiling and wall cleaning solution can restore your acoustical ceilings to a like new condition. Scott Caruso and his companies have serviced Duke-Weeks Construction since 1991. 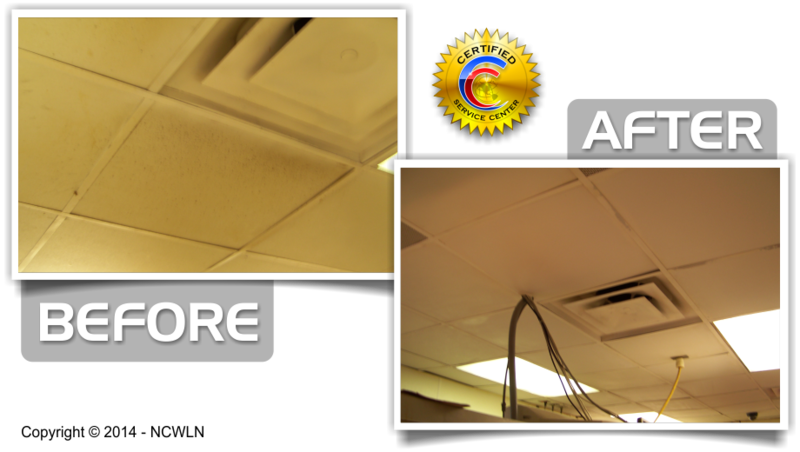 Providing Superior Ceiling Restoration Services to many locations, improving the look of the property and office environments and increase illumination. This is accomplished for pennies compared to a new ceiling. Duke-Weeks soon realized that cleaning the acoustical ceilings, walls and lights saved time, money and the environment. Why would you tear out a ceiling before checking with us, Duke doesn't. Call us and let us help you with those tough to clean area's. You'll be glad you did. 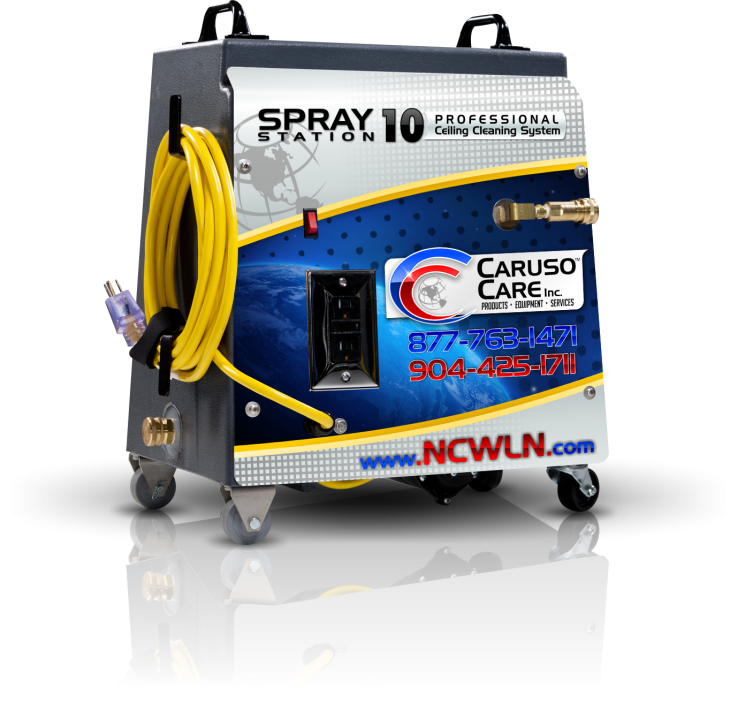 Scott Caruso and his companies have serviced Army & Air Force Exchange Services since 1989. 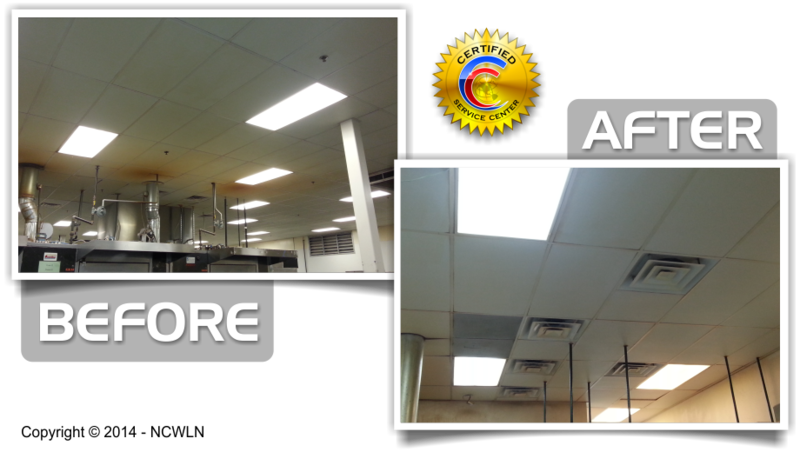 Providing Superior Ceiling Restoration Services to many base and post exchanges, improving the look of the retail shopping environment and increase illumination. 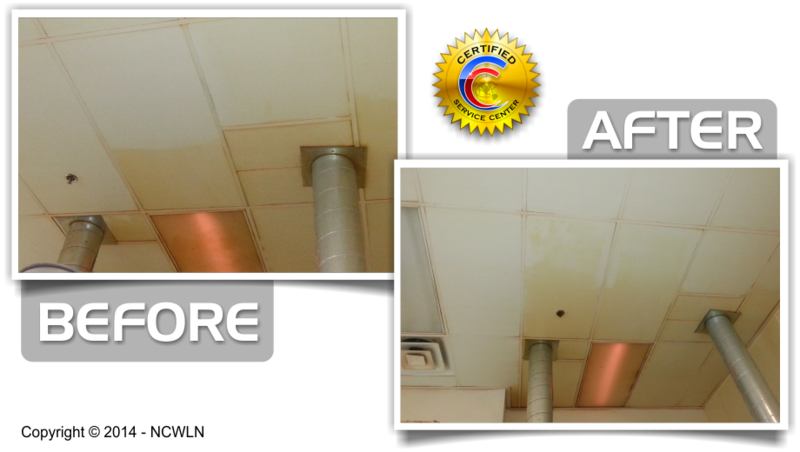 This is accomplished for pennies compared to a new ceiling. 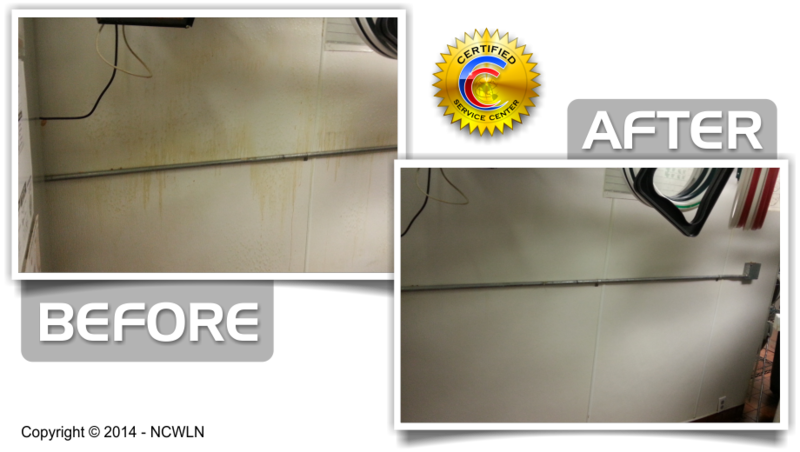 Building a Relationship over the years with many AAFES facility managers and most importantly a relationship with Walt Weber of Wright Patterson AFB, NCWLN has been able to be the leader in delivering state-of-the-art specialty cleaning & services needs to AAFES. In June of 1995, Scott Caruso invited Mr. Weber to an Energy Savings Seminar held by Scott Caruso and Caruso Care. 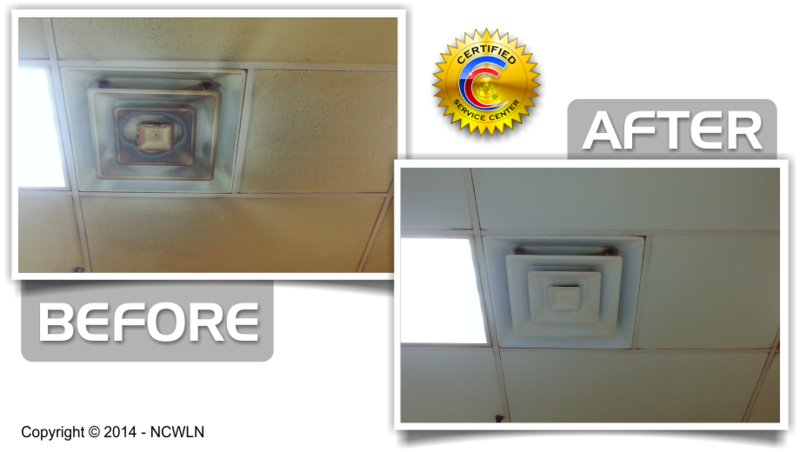 As a result of hearing about Caruso Care’s Lighting Energy Savings and Lighting Illumination processes, Mr. Weber and AAFES made the decision and choose our Network. Let's find out why? In the spring of 1996, the Army and Air Force Exchange Services sought out the help of NCWLN. 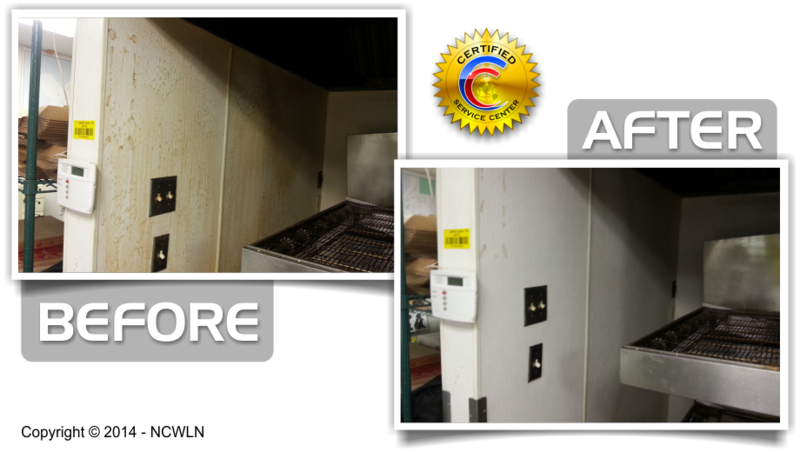 A 32,000 square foot Base Exchange retail facility with 12 foot ceilings, located at Wright Patterson AFB, was, in their opinion, grossly under-illuminated. 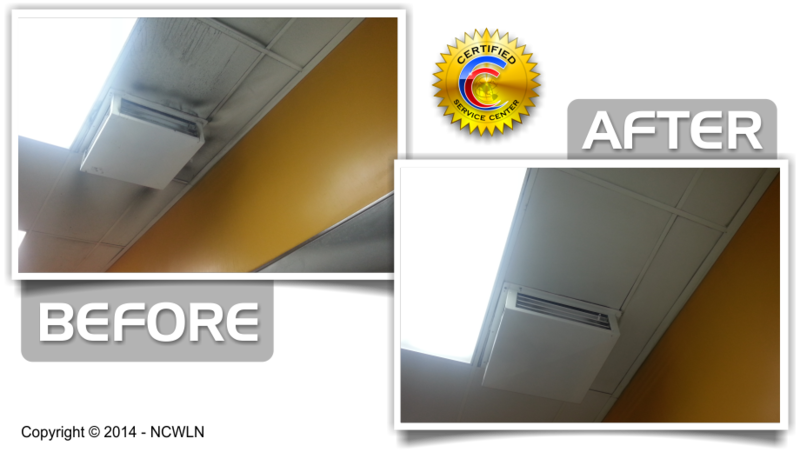 While they were sensitive to energy usage, their primary concern was with low light levels of the retail sales floor area. 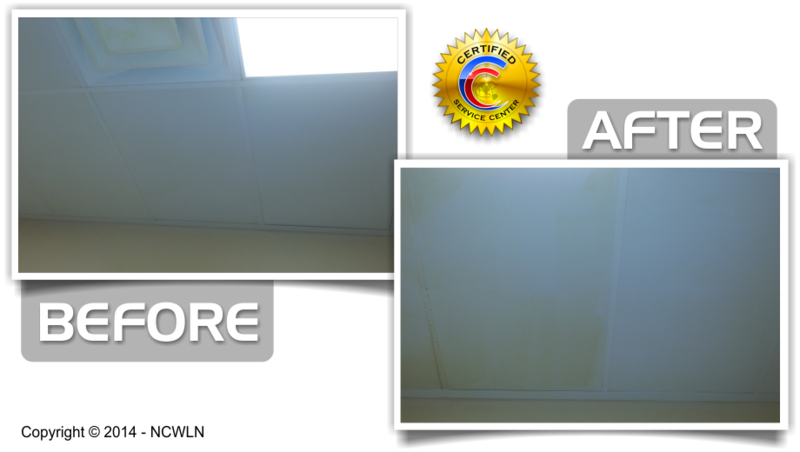 NCWLN worked to restore the ceiling to a like new condition after it had been badly Soiled. 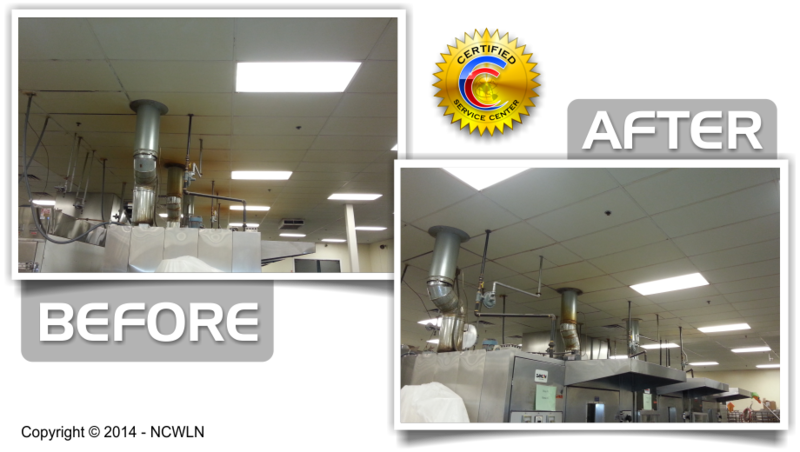 The combination of Light Fixture Cleaning, Ultrasonic Light lens Cleaning, Electronic ballast’s and T-8’s lamps, and the installation of specular aluminum reflectors greatly increased the light levels within the facility. 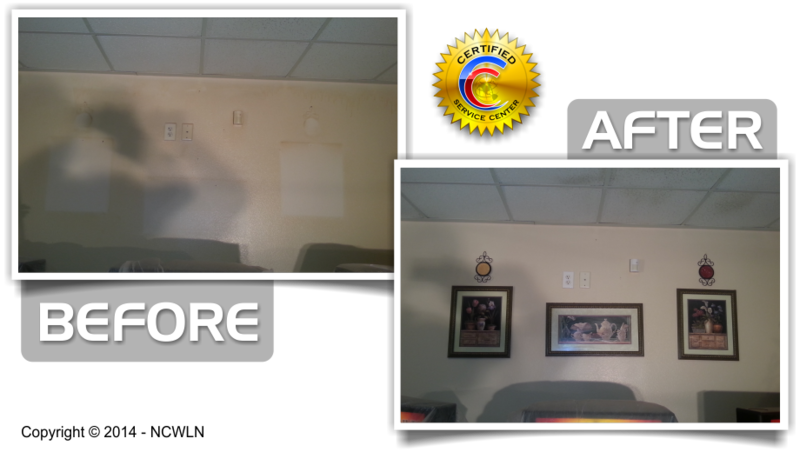 Once all the work was completed, new light readings were taken. 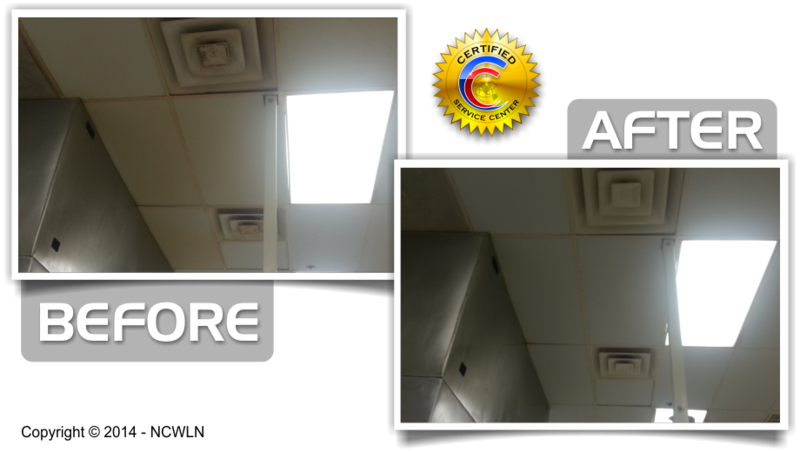 The new light readings of 53fc were more than triple the average before readings of 15fc, this all accomplished with a two lamp fixture burning only 78 watts. *VHS Video of this Case Study Available upon request. Meijer Department Stores located in the Midwest, soon located their stores to Indiana in 1995, with over 18 locations averaging over 300,000sf. 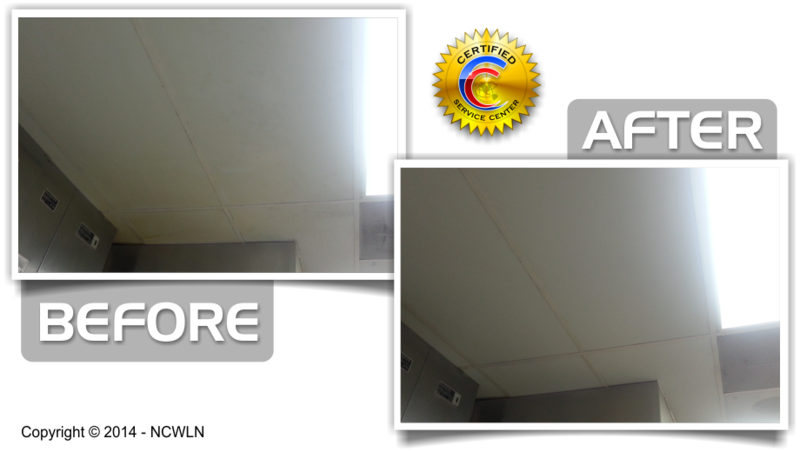 We were selected as vendor of Choice for Meijer and we are still going strong providing Specialty Cleaning & Services. 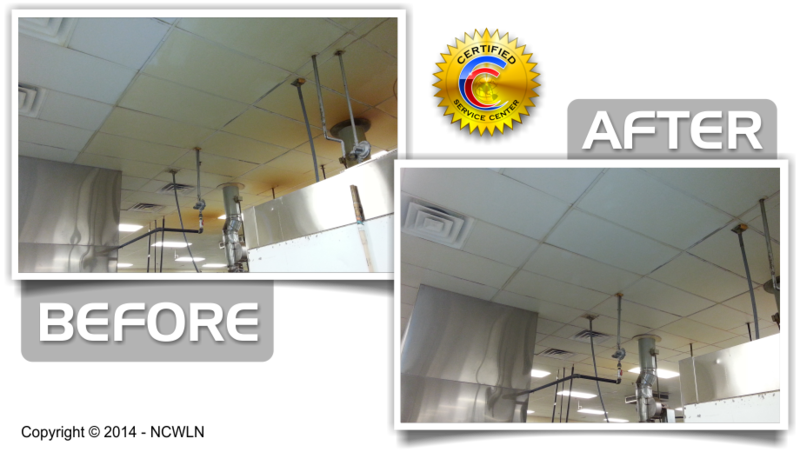 an Annual Ceiling Maintenance Program for all eateries, deli’s, bakery and customer services areas. 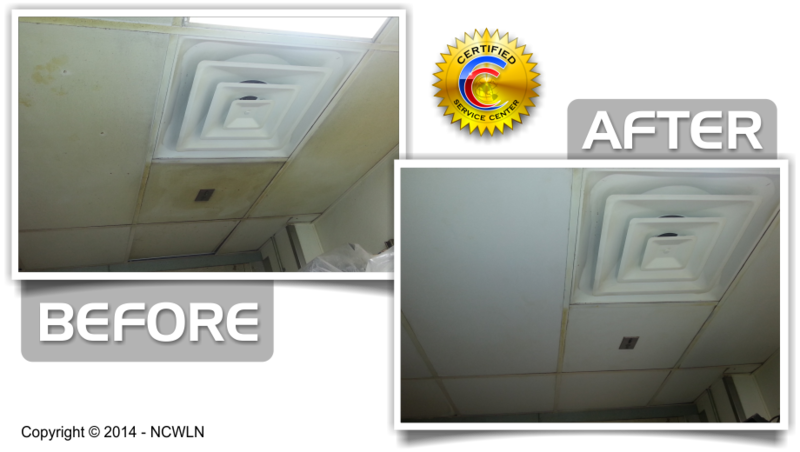 Ultrasonic Cleaning of Light Lens. 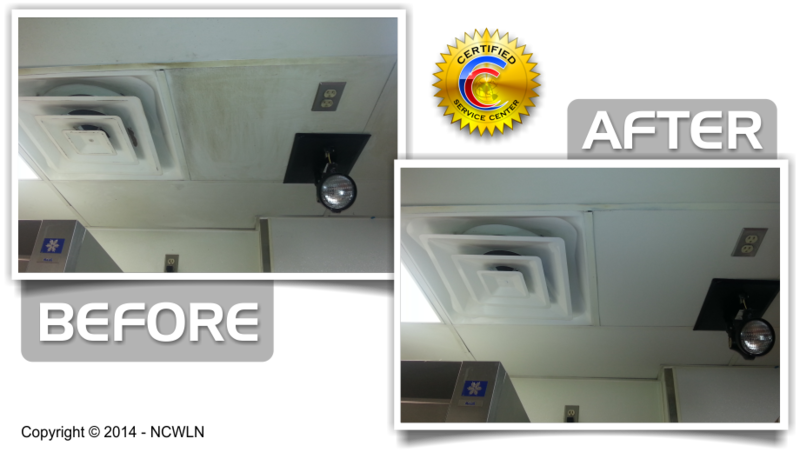 an Annual Vent Cleaning of all RTU units. to the servicing over 18,000,000 square feet, to-date, of the most state-of-the-art retail lighting anywhere, with many types of lighting requirements. from HID’s 18 feet up, requiring Lifts. 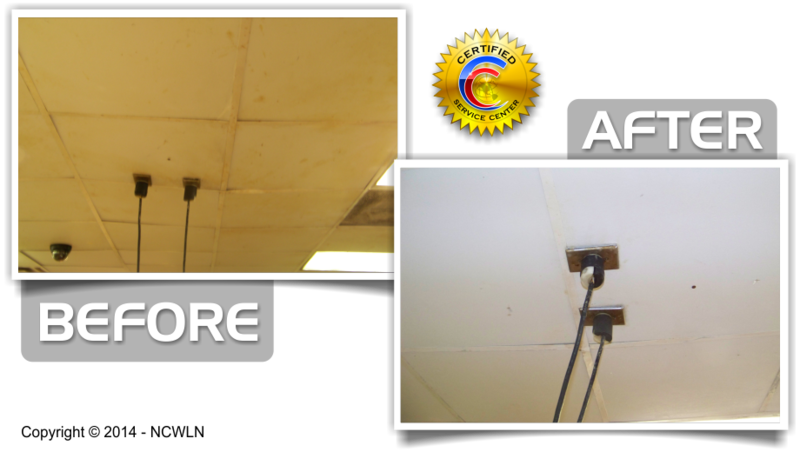 to 4-bin Biaxes on a 14 foot ceiling height using Scaffolding in order to protect the carpeted sales floor area. to Warehouse lighting requiring special booms. to Refrigerated Cases, Lozier Canopy, signband lighting and many more state-of-the-art lighting fixtures and lamps. Since the Meijer Stores are open 24 hours, seven days a week, the NCWLN Team was very flexible and completed the work during third shift hours. 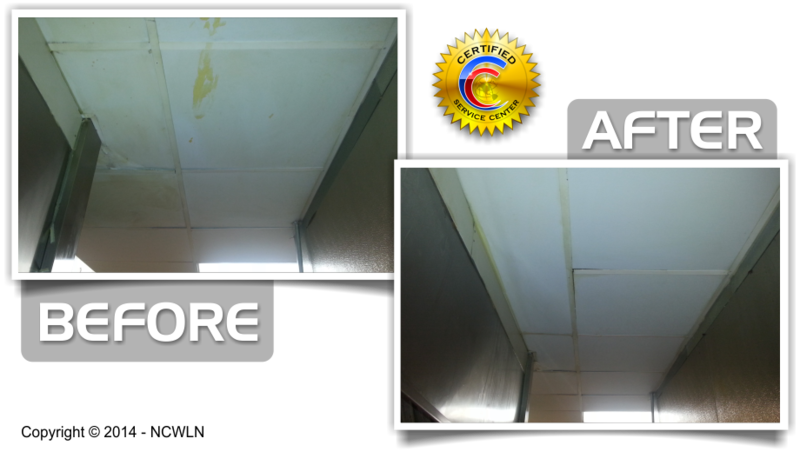 The work was scheduled this way to minimize interruption to the retail business. 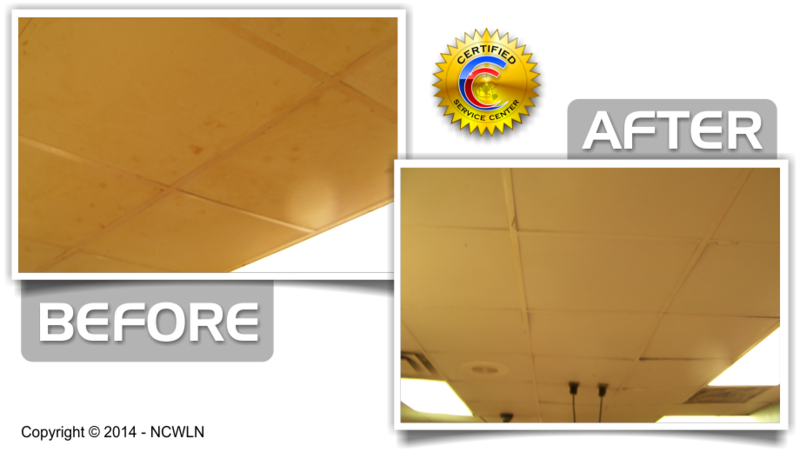 The National Ceiling, Wall & Lighting Network has serviced McDonald's Restaurants since 1991. 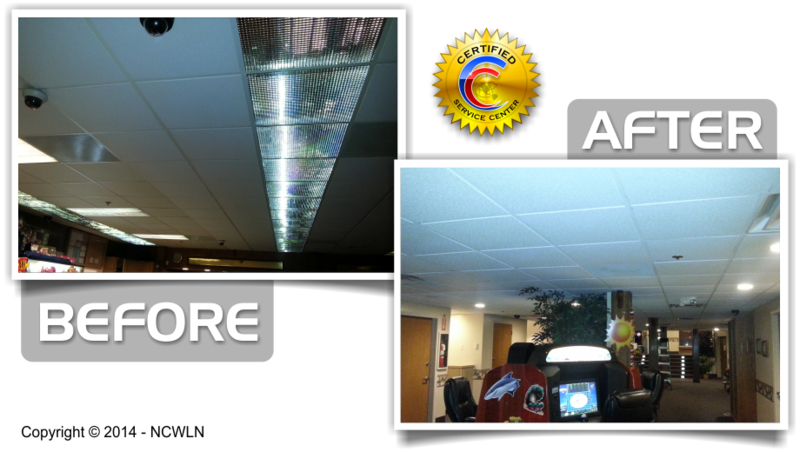 Providing Superior Ceiling Restoration Services to many locations has improved the look of the property and increase illumination. This is accomplished for pennies compared to a new ceiling. 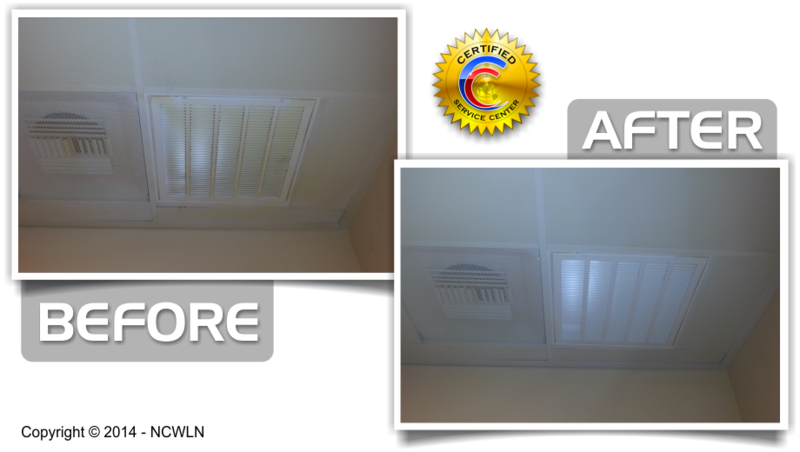 Errol Shinner has seen first hand our commitment to delivering Ceiling, Wall and Lighting Services, and he know's where going to be there when he needs us the most. 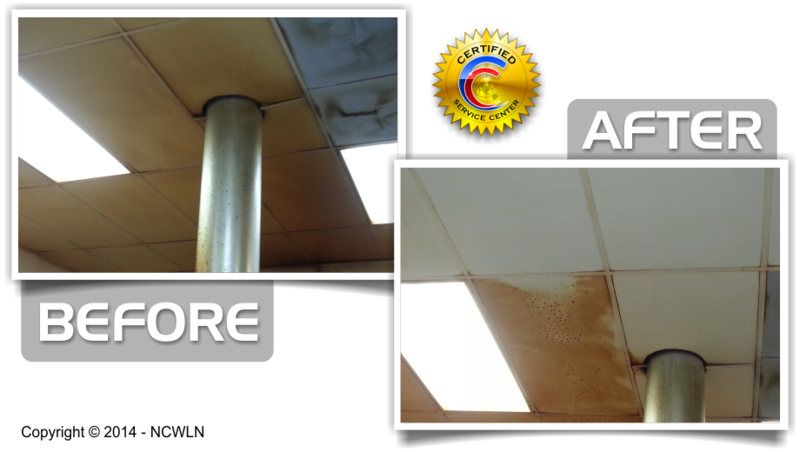 Ask Errol Shinner about our workmanship and our services. There is a Difference! Thanks you for a great Job. The Dining Room looks great. We love your Work!! Call Bob (317) 632-3863 personally and ask him why NCWLN. 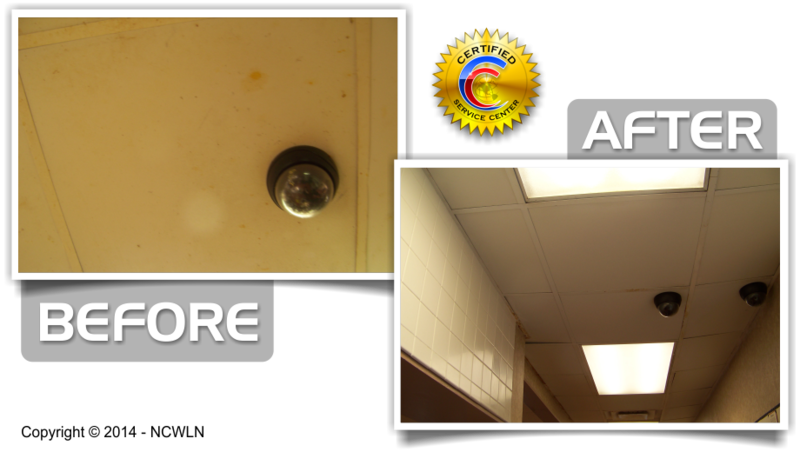 The National Ceiling, Wall & Lighting Network recently had the opportunity to service Target Stores, again. 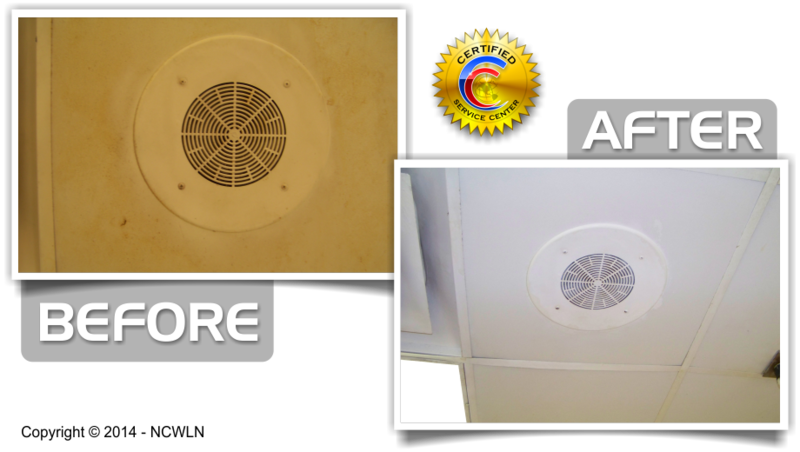 This time, Target needed us to clean 88,000 square feet of ceiling grids, diffusers, sprinklers and speaker grills, located in Tennessee. 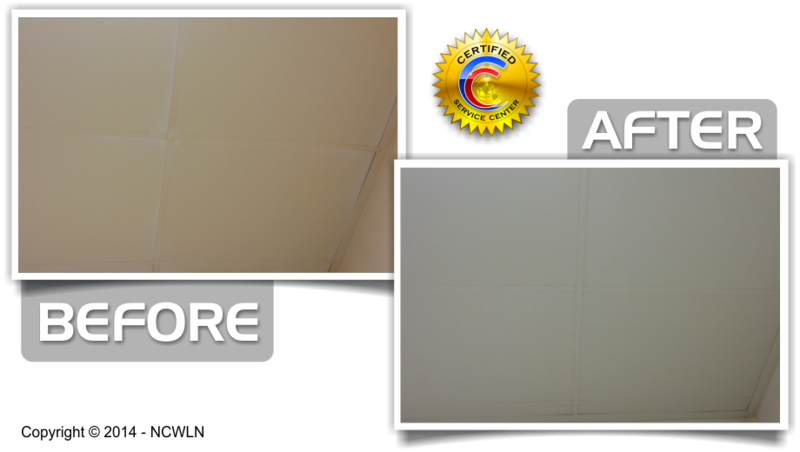 And, this national contractor needed us a month ahead of schedule. 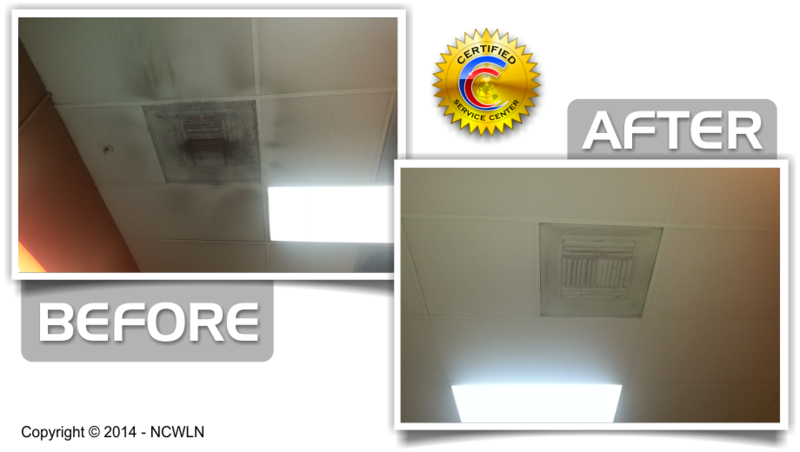 Because we know that general contractors sometime need us to be flexible, we immediately sent our top operational crew the next following week to take care of this 88,000 square feet cleaning of ceiling grid cleaning, including diffusers, sprinklers and speaker grills. 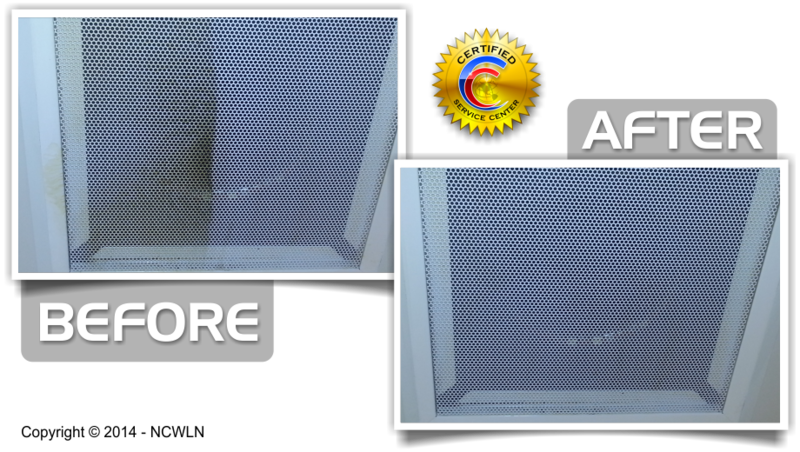 This project was completed in 18 Hours, "that's right! 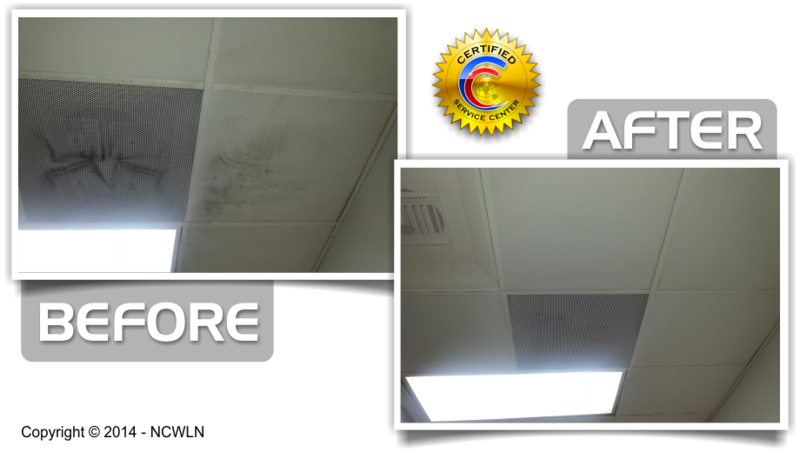 National Ceiling, Wall & Lighting Network, setting the National Record for delivering the cleaning services with superior results. Congradulations to our National Operations Team for setting the National Record for Cleaning 88,000 square feet of ceiling grids, diffusers, sprinklers and speaker grills, in the remodeling of the Target Store, located in Tennessee. 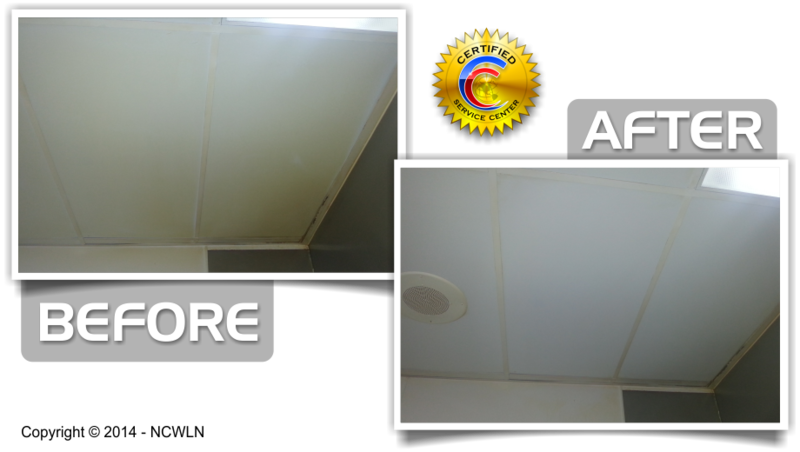 Our Customers and our General Contractors Know -"We are going to be there when they need us the most." Just ask, our customers about our workmanship and services. 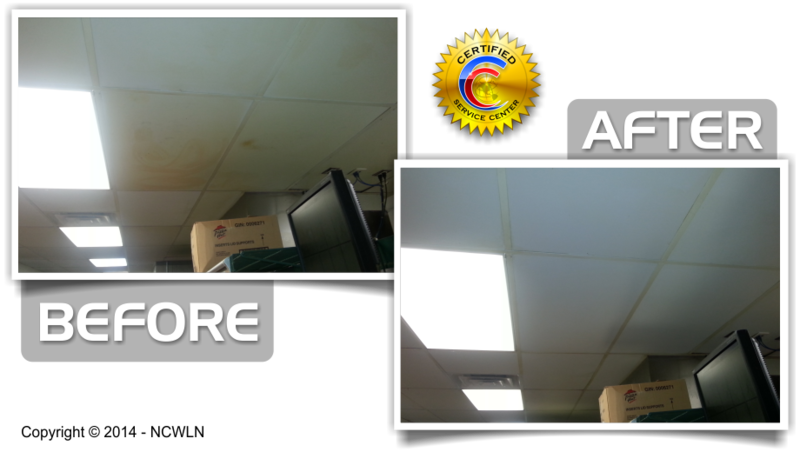 There is a major Difference between our specialty cleaning and lighting service. Our company has spent years (since 1987) on research and development, prefecting our exclusive products, systems, software, techniques and overall knowledge of the Specialty Cleaning and Services Iindustry.